I like Go Karting it is really fun. I mostly Kart in Camberley. There is a maximum number of Karts on the track which is 12. I like the speed, skids and noises. 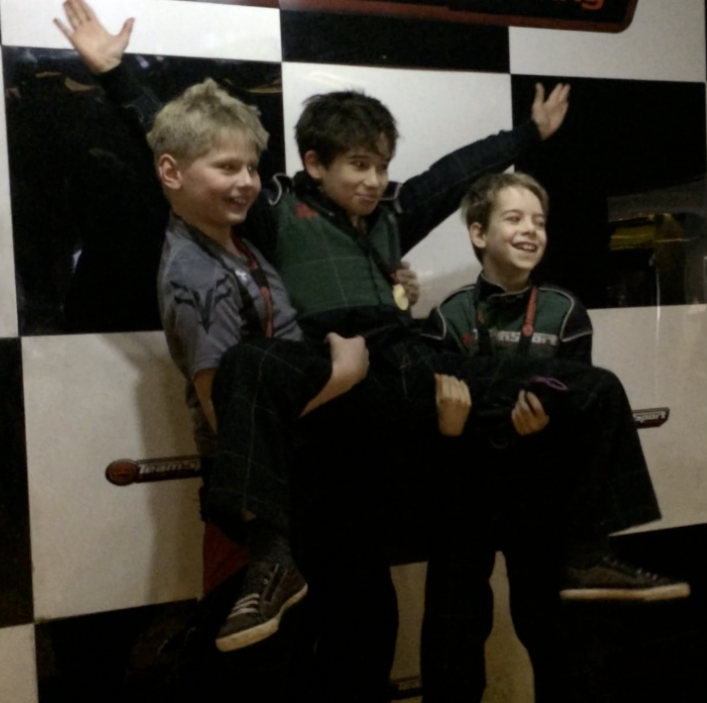 This is me winning a race at Camberley go kart track! There are two different types of engine, one is two-stroke and the other is four-stroke. 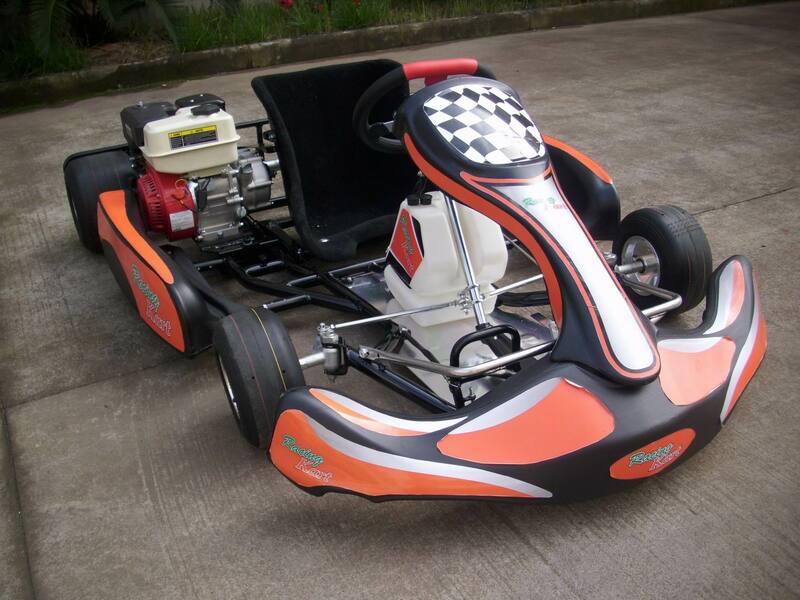 If you have a 60cc Kart, a 100cc Kart will go faster, so the higher the capacity of the engine the faster the Kart. I have also been karting in France once. I asked my Granny to take a video of the race but all I got was 12 videos of her bag, 1 video of her foot, 13 photos of the floor, 1 picture of a go kart and 2 five second videos of the race. I won't be asking her to take a video any time soon. The place I mostly go kart at in Camberley has sadly shut down but there's a new one 3 times the size! I might go there. On Christmas 2012 my Dad got me a book about karting I learn't quite alot about karting from that book including the racing line which I'm going to explain a little bit about. 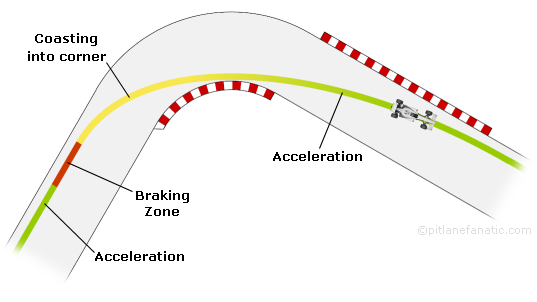 The racing line is the shortest and fastest way around the track. You stay out wide and when there's a corner you cut through the apex of the corner and go out wide again.